It’s been with us almost 200 years. It recounts the rise and fall of two mighty nations with tens of thousands—potentially millions—of inhabitants (Ether 15:2). Seems perfectly natural to expect physical evidences to exist. Right? The Book of Mormon’s authors made it clear the record was spiritual, and that it would touch on historical matters but lightly (1 Nephi 9:2; 2 Nephi 5:33; Jacob 1:2–3). Its compilers minimized cultural references to maximize its universality, particularly for folks in the last days (Alma 37:14, 18–19; Mormon 3:17–22; 8:25–41). Too many historical and cultural references might’ve undermined or watered down its spiritual objectives. In this regard, the Book of Mormon’s authors and abridgers seem admirably farsighted. Nevertheless, to effectively communicate many enlightening doctrines, incorporating some history and culture was necessary, unavoidable. Still, Latter-day Saints have questions. Nephites, Lamanites, and Jaredites had to live somewhere. A healthy curiosity need not be suppressed—“healthy” being the operative word. Not obsessive. Not to the exclusion of principles outlined by Moroni. Supporting evidences of the Book of Mormon are broadly identifiable. The volume has long invited scrutiny from all branches of science. Archaeology itself can be divided and subdivided into numerous disciplines. I couldn’t possibly cover every Book of Mormon correlation in one sitting. In this post I wanted to emphasize physical evidences—stuff you can touch, see, feel. Though there are many more than five, I've tried to present a thoughtful cross-section. For further insights take a look at various KnoWhys on this topic here, here, and here. Okay, we admit, this item is on most lists of Book of Mormon evidences—undoubtedly because it’s so spot-on. Not one, but three ancient altars inscribed with the same three Semitic consonants of the place-name, Nahom, as mentioned in 1 Nephi 16:34. Never mind the lack of vowels in the Hebrew alphabet that might alter the pronunciation: “Ni-ham,” “Nu-heem,” “Nehum”. The coincidence remains staggering. Not only are these altars found in the right place, they date to the right time. If that’s not enough, Nahom itself appears associated with the Hebrew word for “mourning”, which is precisely why the Lehites were there. Nahom was one of the largest burial areas in ancient Southwestern Arabia,6 and the travelers were there to mourn the death of their beloved friend, Ishmael. Joseph Smith simply could not have known this in 1830. Some of the theories proposed to explain away this coincidence have lower odds than Joseph just making a wild and lucky guess. Want to learn more? Visit our KnoWhy here and watch our Evidences Video on Nahom here. During the 1st century B.C., the Nephites faced a tricky challenge. The worst fears of the Lorax had come true: The land had been scavenged of timber. This forced them to rely upon cement construction for housing and other buildings, becoming, or so we’re told, quite the experts (Helaman 3:7). Once again, patience transformed this into a non-issue. Not only have cement structures been identified throughout Mesoamerica, but as Dr. John Sorenson noted, “The first-century-BC appearance of cement in the Book of Mormon agrees strikingly with the archaeology of central Mexico.”8 Dr. John W. Welch pointed out that no archeologist in 1829 could have known how accurately the dating of this technological adaptation correlated with what was happening on the ground.9 To learn more, take a gander here. Book of Mormon readers are well aware of a tribal group who claimed to descend from a son of King Zedekiah named Mulek. (Helaman 6:10; 8:21) Trouble is, history wasn’t aware of any “Prince Mulek”, let alone any children of King Zedekiah who would have survived the Babylonian massacre. And one who found allies and migrated to the New World? That’s what makes this seal so interesting. Mulek is easily an hypocoristic, or shortened, form of Malkiyahu, exactly as today we’d shorten Alexander to Alex or Nathaniel to Nate. Mulek may have also been mentioned in Jeremiah 38:6.10 This artifact is so small it could fit on your fingernail, yet its implications could be enormous. Definitely worth digging for further details here. Barley comes up in the Book of Mormon four different times (Mosiah 7:22; 9:9; Alma 11:7, 15). Yet prior to A.D. 1492, this grain wasn’t known to have existed, let alone cultivated, in this hemisphere. Thus, more fodder for Book of Mormon criticism and ridicule. It wasn’t until 1983 that archeologists acknowledged the existence and cultivation of a type of New World barley that dated to as early as 800 B.C.11 To learn more, see here. Still, it’s important to restate the core emphasis: physical evidence pales next to personal revelation—a promise the Book of Mormon extends to every sincere and faithful inquirer. This principle was vital before most of today’s scientific fields were defined and will surely endure long after such disciplines have re-divided and re-subdivided ad infinitum. 1. See M.T. Lamb, The Golden Bible: Or, the Book of Mormon. Is It From God? (New York: Ward and Drummond, 1887), 11. 2. See La Roy Sunderland, Zion’s Watchman (New York) 3, no. 8 (24 February 1838). 4. H. Curtis Wright, “Ancient Burials of Metal Documents in Stone Boxes,” in By Study and Also by Faith: Essays in Honor of Hugh W. Nibley, ed. John M. Lunquist and Stephen D. Ricks, 2 vols. (Salt Lake City and Provo, UT: Deseret Book Company and FARMS, 1990), 2:273–334. 5. William Smith, The Saints’ Herald, October 4, 1884, 644; as cited in Henrichsen, “How Witnesses Described the ‘Gold Plates’,” 17; Read H. Putnam, “Were the Golden Plates made of Tumbaga?” Improvement Era 69, no. 9 (September 1966): 788–789, 828–831. 7. Heber J. Grant, Conference Report, April 1929, 129; John L. Smith, “What about those Gold Plates?” The Utah Evangel 33, no. 6 (September 1986): 8. 9. John W. Welch, “A Steady Stream of Significant Recognitions,” in Echoes and Evidences of the Book of Mormon, ed. Donald W. Parry, Daniel C. Peterson, and John W. Welch (Provo, UT: FARMS, 2002), 372–374. 10. Robert F. Smith, “New Information about Mulek, Son of the King,” in Reexploring the Book of Mormon: A Decade of New Research (Salt Lake City, UT and Provo, UT: Deseret Book and FARMS, 1992), 142–144; John A. Tvedtnes, John Gee, and Matthew Roper, “Book of Mormon Names Attested in Ancient Hebrew Inscriptions,” Journal of Book of Mormon Studies 9, no. 1 (2000): 51. 12. John E. Clark, “Archaeological Trends and the Book of Mormon Origins,” in The Worlds of Joseph Smith: A Bicentennial Conference at the Library of Congress, ed. John W. Welch (Provo, UT: BYU Press, 2006), 94–95. “The overall trend in the date over the past 175 years fits the expectations for the Book of Mormon as history rather than hoax. 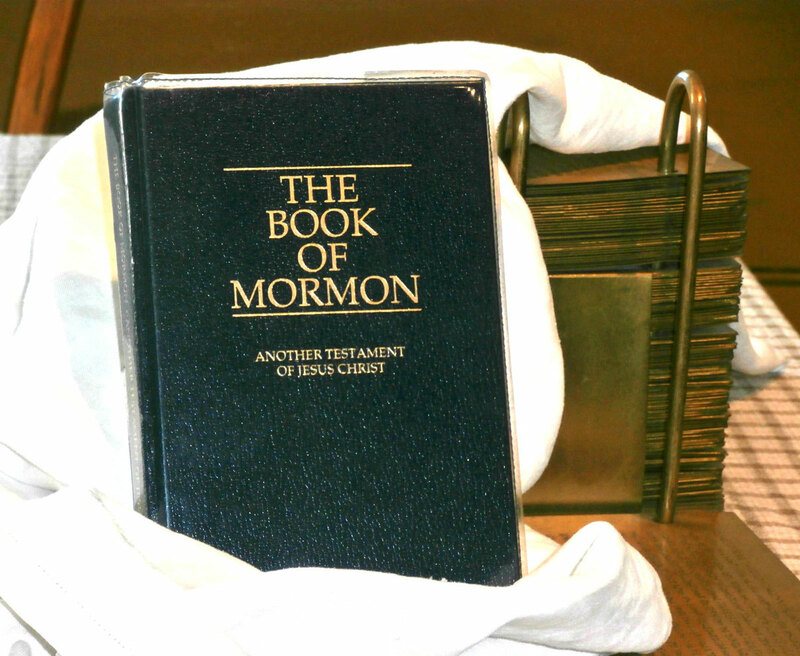 … As seen by science, the Book of Mormon is stronger today than it was in 1830, 1844, 1950, or even 2000, so I expect it will continue to become stronger in the future.” (p. 95).